මාතලේ, කළුතර, කොළඹ හා මොනරාගල දිස්ත්‍රික් හතරක මුද්‍රිත මාධ්‍යවේදීන් සදහා වාර්තාකරණයේදී මාධ්‍ය ආචාරධර්ම භාවිතය පිළිබද පුළුල් අවබෝධයක් ලබා දීමේ පුහුණු වැඩමුළුවක් ශ්‍රී ලංකා පුවත්පත් ආයතනය හා ශ්‍රී ලංකා පැමිණිලි කොමිසම එක්ව සංවිධානය කර ක්‍රියාත්මක කරන ලදී. 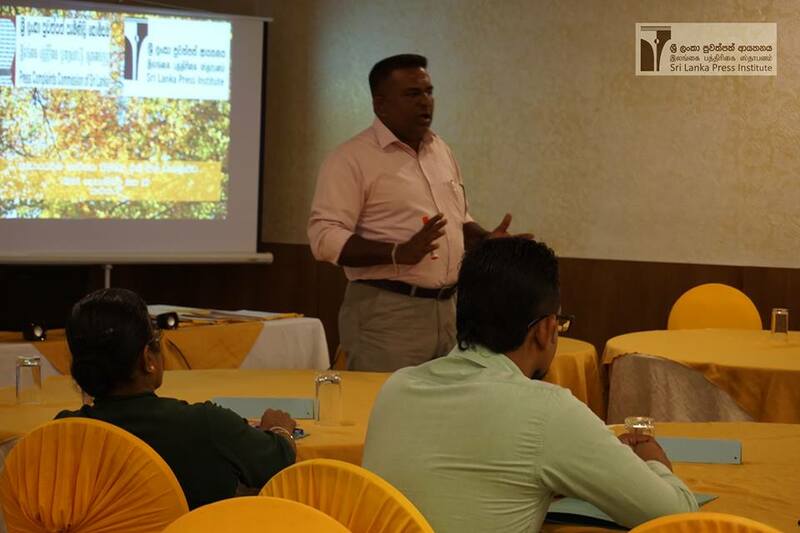 Sri Lanka Press institute (SLPI) and the Press Complaints Commission of Sri Lanka (PCCSL) conducted a workshop for Journalists. The program focused on providing awareness and training of the Editors’ Code of Professional Practice journalists. We conducted workshops in Sinhala, Tamil and English medium at Mathale, Kaluthara, Colombo and Monaragala.